Casting for the World Premiere of Matthew Bourne’s Romeo + Juliet has been announced and we are incredibly proud to see 2 current Dance4 CAT students on the list. Sua Tsubokura-Aguiriano and Alexander Love have both secured coveted places with the iconic and ground-breaking British dance theatre company, representing some of the finest emerging male and female dancers from around the UK. Alex joined the Dance4 CAT programme in 2014. During his time on CAT he has continued to attend and perform with Curve Young Dance Company one of Dance4’s CAT Assoicate Youth Companies. He was also a member of the National Youth Dance Company, touring with the company for 2 years under the artistic direction of Damien Jalet (2016/17) and Sharon Eyal (2017/18). 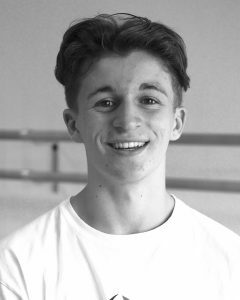 Alex is currently in his last year on the CAT programme and is auditioning for dance conservatoires. Sua joined the Dance4 CAT programme in 2015. Sua was a member of the National Youth Dance Company between 2016-2018, performing at Sadlers Wells and touring with work by Damien Jalet and Sharon Eyal. 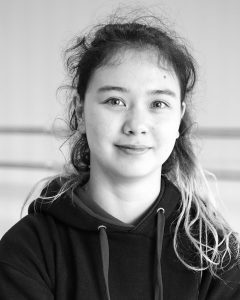 Sua is now in her final year of training on CAT and is currently auditioning for dance conservatoires in the UK and Europe. We are excited to see both Sua and Alex perform with New Adventures when Romeo & Juliet comes to Nottingham and Leicester in 2019.